My Datashare on the BF sim that was upgraded recently is working fine, the dual sim is also working great. Got my datashare back. All sims which were linked are working again. Clearly they just blocked the service per their "should not be active for business customers by default" rule. MTN Choice 30GB has been given 60 All hours and 60 night. Guess tomorrow is D Day to see what allocations we all get for the BF deals. Y'ello! Your remaining once off SMS bundle will expire in 2 days. If you load another once off SMS bundle you will be able to carry over your unused SMS. Wonder if loading another small bundle will work and if it'll also work with all my remaining BF minutes? I loaded a R5/15 sms bundle and the expiry date of all my sms's incl the 350 remaining BF sms has now been moved 2 months up, so that works. I'm just trying to find a cheap 30day voice bundle so I can hopefully save my remaining 180 BF minutes, any ideas anyone? There doesn't seem to be any all network bundles only Mtn to Mtn voice bundles and buying one of those showed it as a separate item to the all net BF minutes. Daytime = 100gb + 67gb (carried over from last month, I was under the impression they only carrying the non promotional data over, which would've meant only 50gb should have been carried over?) I ain't complaining though. Night Time data is correct at 100gb, however I still had 27gb of the night left from last month which never carried over. This should have been non promotional data as the promotional data depletes first as I understand. Yip everything carried over except night data. Does mtn do a 3 month only carry over? Kindly note Night Express data as a whole is promotional data, which doesn't carry over.So there is nothing wrong there. On average I use about 2 gigs night express a week and try and use all of it in the last week before expiry. Heads up if your data share isn't working- yet a new Sim from mtn. I had endless problems with data share since November 2018. Mtn couldn't figure it out. Every time I would be told that they are going to reset the Sim on the network and after the fifth time I lost it and put in a complaint (nothing happened and still waiting for a reply email) . Bought a new Sim at checkers and that didn't work. Bought another one from mtn and that ended up working. Data share is still working on my prepaid SIM from Pep. Did you share via the MTN app? My Datashare also wouldn't work when trying to activate it via the Mtn shop/call center/Ussd, then I installed the Mtn app on the phone that has the master sim on it, enabled Datashare there, added the a prepaid sim number to Datashare and worked straight away. I can't get data share to work on a business made for me contract. I get the SMS that the number has been successfully added but the other number still has no connection. Does any1 know for how long does the MTN recurring data last for if it's carried over? 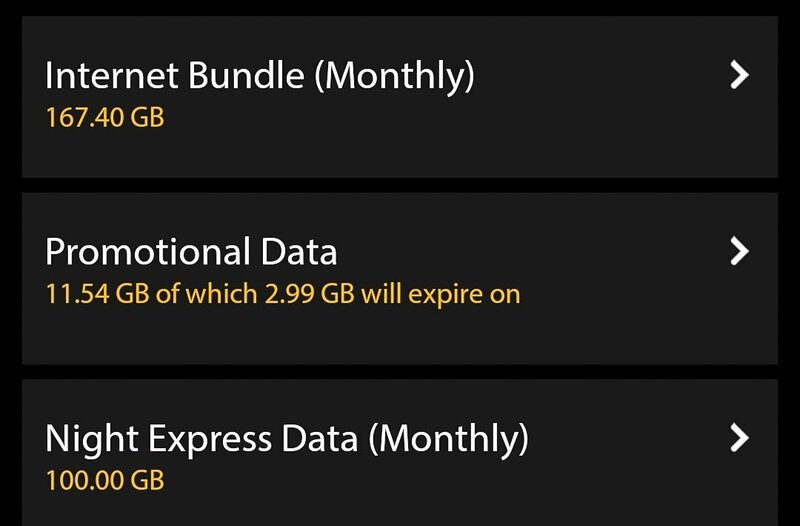 2 months, so data issued in Jan will expire end of February.